Biff, Chip and Kipper Stories: Decode and Develop are exciting new titles in the Oxford Reading Tree series. The stories continue to provide storylines full of humour and drama, with familiar settings and characters. They also support children's transition from fully decodable readers, such as Floppy's Phonics, to a richer, wider reading experience with high-interest vocabulary. The new-style inside cover notes provide advice to help adults read and explore the story with the child, supporting their decoding and language comprehension development. Each pack of 6 includes a Group/Guided Reading Notes Booklet with a Vocabulary Chart listing high frequency tricky words and a Curriculum Coverage Chart for England, Scotland, Northern Ireland and Wales. 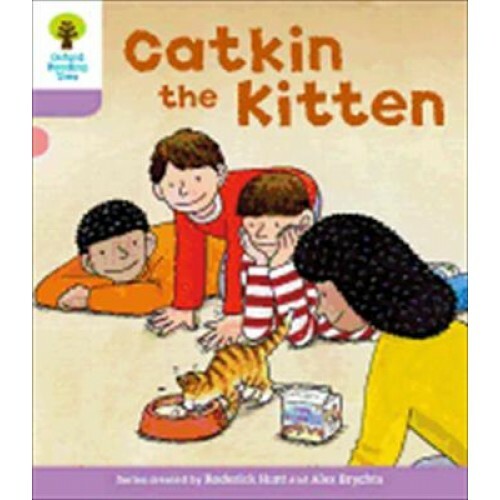 Each story has individual notes and suggested activities for Group and Independent Reading, Speaking, listening and drama and Writing, with each section showing the relevant objectives covered. Decoding and Language Comprehension opportunities are highlighted throughout.